African American Lifestyle Magazine: Win $1,500!!! Rudolph Foods, Gridiron Greats and former pros Lem Barney and Dennis McKinnon want to know which team will you play on? Win $1,500!!! 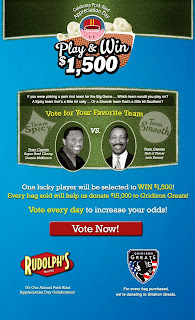 Rudolph Foods, Gridiron Greats and former pros Lem Barney and Dennis McKinnon want to know which team will you play on? Leading up to the BIG GAME in February, we invite you to play along with Rudolph Foods, Gridiron Greats and former pros Lem Barney and Dennis McKinnon. Which team will you play on? Team Spicy ... or Team Smooth? On January 7th, one lucky player will be selected at random to be our MVP and win $1,500! A donation (up to $15,000) will be made to Gridiron Greats when you buy any Rudolph’s, Southern Recipe, Pepe’s and Lee’s snacks. 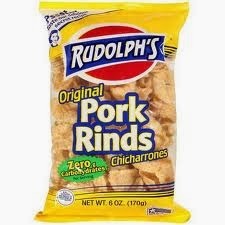 Don't wait, buy your favorite pork rinds online or at your favorite store and we'll donate. Gridiron Greats Assistance Fund provides financial grants and medical assistance to retired NFL players in dire need.